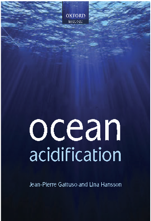 Session description: P08 – Coastal Ocean Acidification: Ocean acidification (OA) is causing complex biogeochemical changes over a range of temporal and spatial scales. It can be extremely difficult to understand OA in the highly complex coastal zone. However, this rapidly emerging scientific issue has raised serious concerns across the scientific and resource management communities as to its possible impacts on highly productive coastal fisheries and food webs. 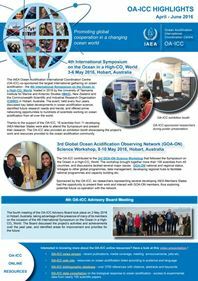 This symposium will highlight new research in coastal acidification, including changes in biogeochemistry; complexities associated with other ocean processes (e.g., freshwater mixing; hypoxia; multiple stressors); impacts on ecosystems and economies; and modeling and projection of future OA.